Forget what you’ve heard about "flyover states"—when the North Country National Scenic Trail is completed, you’ll skip the plane and walk there. Following a 4,600-mile hiking path from New York to North Dakota, the NCT showcases the best of the best from the eastern U.S. to the upper Midwest. Feel the gales of Lake Superior in Michigan, explore the rocky landscape of southern Ohio, and see the glacial countryside in Wisconsin and Minnesota. No matter where you go on the trail, you’ll get a taste of exactly what makes the northern states special. The North Country Trail’s path is a direct result of the people who hike it, emerging from initial planning meetings in the 1970s. It could have been much different though—past-proposed paths ran a huge loop through the Upper Peninsula, followed along Lake Michigan, ran with the Sheyenne River in North Dakota, and linked to the Appalachian Trail. The Appalachian Trail has a lot to do with the founding of the North Country Trail, even though the two never meet. 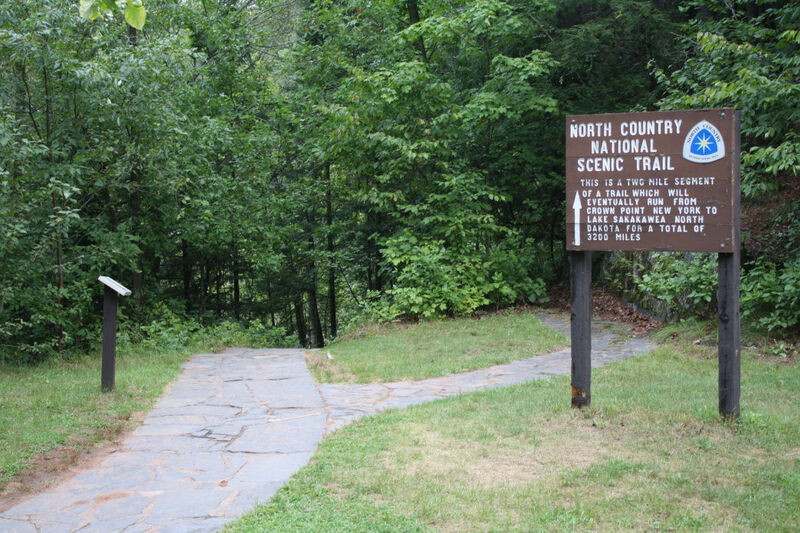 When the National Trails System Act of 1968 solidified the AT’s route as a National Scenic Trail, 14 other routes were proposed—including the North Country Trail. Without the Appalachian Trail’s early recognition, the NCT might not exist today. Congress authorized the North Country National Scenic Trail on March 5, 1980. Today, the North Country Trail stretches across seven states, covering broad swaths of New York, Pennsylvania, Ohio, Michigan, Wisconsin, Minnesota, and North Dakota. It will run 4,600 miles when it is completed, through the northern heartland of America, deep into thick woods, along stunning lakes, and atop breathtaking bluffs. As of now, it’s still under construction. The majority is completed (there are currently more trail miles than the Appalachian Trail) but much of it is joined with temporary connectors until volunteers build permanent trails. The NCT is on track to be the longest continuous hiking trail in the United States, bringing travelers a taste of all the cultural, historic, scenic, and natural areas the northern U.S. has to offer. For 40 percent of the U.S. population, the trail is within a day’s drive. It passes through 12 National Forests and is open year-round. Thru-hiking the North Country Trail is an incredibly rare feat—several have tried and called it off halfway, and only a few have completed the entire thing. It’s a difficult proposition and requires careful planning. An entire end-to-end hike, at a rate of 20 miles a day, will take six months or more. You’ll start or end in snowy conditions, in a part of the country that has severe winters and large snowfall. Plus, to truly do a thru-hike you have to walk across the Mackinac Bridge in Michigan, which is only open to foot traffic for a few hours on Labor Day. The official North Country Trail Association policy on end-to-end hikes no longer requires that bridge crossing, but purists will want to plan accordingly. Short-term hikers can be much looser in their agenda. Spring and fall are the best times to head out. In the heart of summer, hikers will face sweltering heat, humidity, and persistent bugs. In winter expect bone-chilling wind and high snowfall. 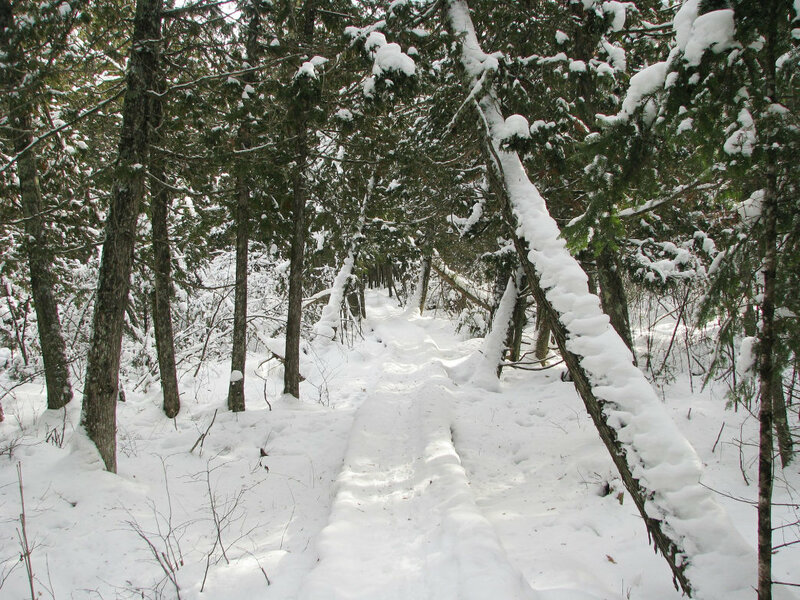 Then again, the trail can be particularly peaceful in winter, when the path is glowing white from snow and almost no one is out but the wildlife. Plan your route to hit some of the major landmarks. The NCT features more than a dozen waterfalls, thousands of lakes and hundreds of rivers, old-growth forests, tallgrass prairies, several different mountain ranges, and even a few cities. Based on the time of year, you’ll have the chance to swim, snowshoe, cross-country ski, run, bike, and ride horses (though this last option is only legal in North Dakota). Also keep in mind that some parts of the trail are state parks and don’t allow dogs. For a good day hike, try the Great U.P Variety trail through the Upper Peninsula in Michigan. You’ll hike up rocky outcroppings for wide-open views of Lake Superior, see more than 100 native plant species, and walk through stately pine trees and hardwood forests. Weekend hikers, try the 19.5-mile trip along the Brule River in Wisconsin—it’s a segment of the Historic Portage Trail, a route used for thousands of years by Native Americans, explorers, fur traders, and settlers. Sections of the trail can sometimes close due to inclement weather, so make sure to do your research before you head out. Also check out when the local hunting season is. If you’re going at the same time, put an orange vest in your pack. Adventures both small and great await on this most epic of American hiking trails. If you’re planning your first long distance backpacking trip, you’ll want to spend some time considering what to eat, how much, and when. Here's how.